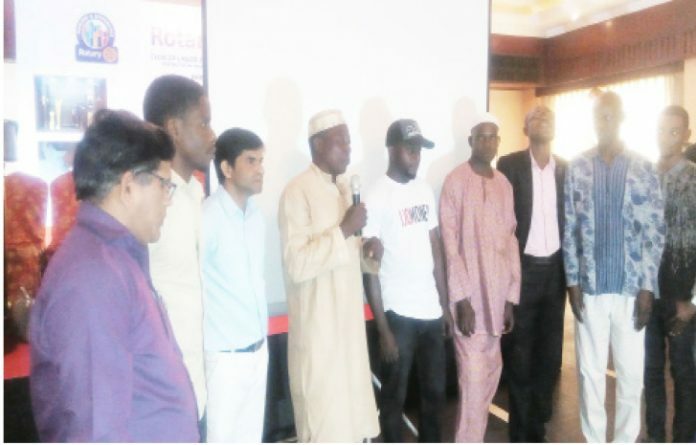 There hope for Nigerians who have lost their limbs as Rotary club of Lagos Island in partnership with the Rotary club of Singapore have commenced distribution of 1,700 free artificial limbs. Speaking at the inauguration of the first Mega Global Grant Project for Rebuilding Limbs and Lives, Rtn. Sanjeev Tandon, President of Rotary Club of Lagos Island, said the aim was to help people to be independent and make a living. Beneficiary will not have to depend on family member and family member will also have time to do other things. Tandon also said that there are no criteria to benefit from the free prosthetic limb. “All you need to do is to visit Ishk Prosthetic Limb Centre in Surulere area of Lagos and your life will be transformed for good, “Aside that, the project will also be a livelihood programme as we are going to trained Nigeria technician on how to render the service. He pointed out that such 1,600 Nigerians benefitted from such gesture in 2015 and they are glad to increase the figure to 1,700 this year, “Our commitment is to make it a continuous exercise. Similarly, Dr. Yap Lip-Kee, Past President, Rotary Club of Singapore, said that they are delighted to partner with Rotary Club of Lagos Island to put smile on people face and promised continuous collaboration. Also, Rtn. Adewale Ogunbadejo, District Governor, Rotary International, D9110, Nigeria, said that a limb cost about N400, 000 but they are glad to give out 1,700 to people at no cost. I hereby encourage other associations, organisations and individuals to contribute to effort towards making life better,” Ogunbadejo said.